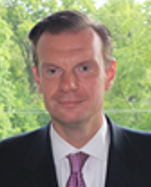 Thomas Majewski is the Chief Executive Officer of Eagle Point Credit Company (NYSE: ECC). ECC is a leading investor in CLO securities, and Mr. Majewski's involvement in the formation and/or monetization of many CLO transactions across multiple market cycles dates back to the late 1990s. Further, Mr. Majewski's knowledge and understanding of CLOs led to the creation of some of the earliest refinancing CLOs, introducing techniques that are now commonplace in the market. Mr. Majewski has spent his entire career in the structured finance and credit markets. Mr. Majewski is also the managing partner of ECC's adviser, Eagle Point Credit Management (EPCM). EPCM has over $1.5 billion of assets under management.